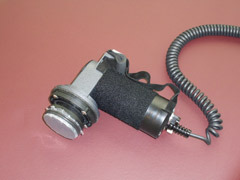 The Pulstar is a computerized adjusting tool. It measures the tightness of your spine before and after your adjustment. The Pulstar performs anywhere between 20 and 200 fast manual impulses, depending on the severity of the tightness noted by the program. The manual adjustment is a hands on approach designed to realign your spine. 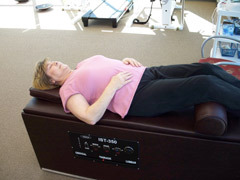 The DTS is designed to help with disc bulges and herniation. When the disc is stretched a vacuum affect pulls the disc back into its normal position while re-hydrating the disc thus taking painful pressure off of adjacent sensitive nerve roots. This is a great non-surgical alternative for disc problems. The DTS machine is not designed for everyone, your doctor will determine if you would benefit from this particular therapy after reviewing your x rays or MRIs and exam findings. The vibracussor is a very high frequency massager and is a patient favorite. It is designed to melt away muscle tightness and spasms which helps your adjustment to hold for a longer period of time. 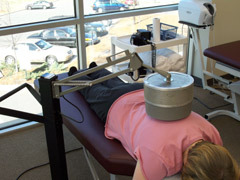 Diathermy is a deep heat treatment. It is designed to help increase circulation to deep muscles. It also helps with minor colds and asthma. Intersegmental traction massages the big muscles of your spine while gently separating inflamed joints in your back. Most patients fall asleep on this machine. 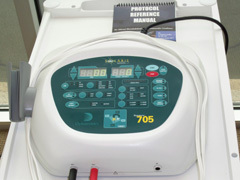 Electrical therapy is designed to help decrease swelling while increasing motion and circulation. We offer numerous types of electrical therapy which are designed to treat specific injuries ranging from muscle tightness to joint instability. 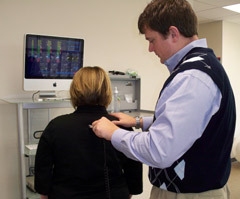 The Pneuback system is designed to correct your posture and gait. Many chronic (long standing) spinal conditions are hard to correct because your body is used to being misaligned, this machine is great at “reprogramming” your body to get used to the proper position and walking without favoring one side. 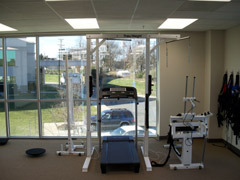 We offer numerous devises that help increase spinal stability. Increasing your core strength and muscle tone aids in long term recovery. 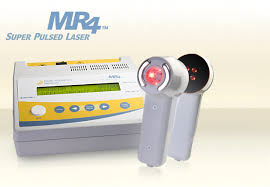 Cold laser is the newest therapy we offer. It is designed to increase circulation at the cellular level to promote healing, decrease scar tissue and help with chronic inflammation. We have seen remarkable results with this new technology! 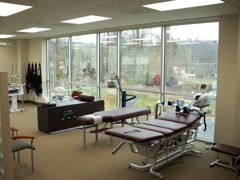 If you would like to learn more about our services, please ring Elite Spine Center today. (704) 829-1002.